Join us for the launch of a new CIPS report “30 Years of Chinese Peacekeeping”, written by Christoph Zürcher. The talk describes how China has emerged from a skeptic into a champion of UN peacekeeping, analyzes the reasons and motivations for Chinese UN peacekeeping, and discusses the future role of China in the rapidly changing field of peacekeeping and peacebuilding. This event also marks the launch of the China Policy Centre. 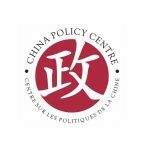 The China Policy Centre is a non-partisan not for profit independent organization to be located University of Ottawa. The primary mandate of the China Policy Centre will be to act as a centre of excellence and understanding of China’s current political, economic, commercial, diplomatic, military, and social environment. The second mandate of the China Policy Centre will be to foster a better knowledge and policy response by providing research and timely information about China specifically to Canadian decision makers and key Canadian policy organizations.